Tickets are now on sale for Sgt. 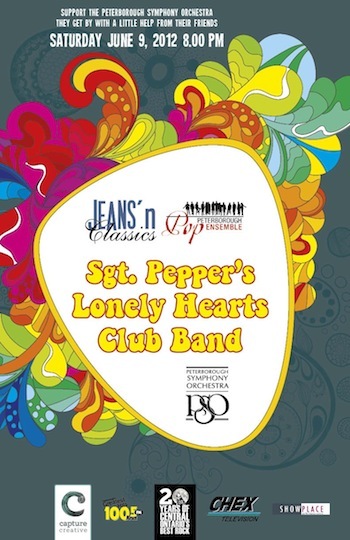 Pepper's Lonely Hearts Club Band performance by The Jeans'n Classics band and Peterborough Pop Ensemble. It takes place at Showplace Theatre Saturday, June 9th, and is a concert featuring a mixture of rock and classical music. The performance coincides with the 45th anniversary season of Showplace and the famous Beatles album that's 45 years old in June. Get your tickets here for this special performance.